For the past twelve years the Caribbean Implementation Agency for Crime & Security (IMPACS) in Trinidad & Tobago has interfaced with individual national intelligence agencies via the RCSS Unit, to monitor Chinese criminal syndicates or “Triads” in the region. During such period the Twin Island Republic itself received a security warning about escalation of criminal activity, driven by the infiltration of Asian gangs. In one related episode suspected thirty-one year old female money launderer Xue Hua Sham was mysteriously kidnapped from her Seventh Street, Barataria Trinidad home and murdered. 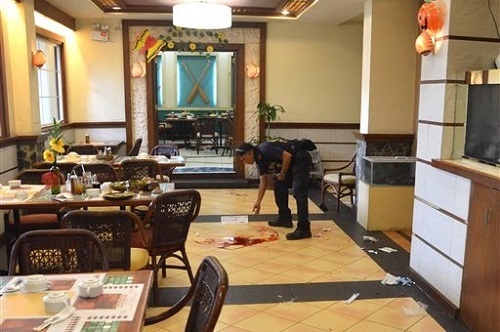 In another Triad related scenario a male sixty-one year old Hillsborough, Tobago Chinese resident was assassinated outside his Elersile Plaza restaurant in Maraval, Trinidad. Internal security reports linked a visiting Hong Kong businessman to both murder victims. The Triad functions as an umbrella for similar transnational organized crime characters based in the Peoples Republic of China. Triad cells are active in America, Australia, Belgium, Canada, France, Hong Kong, Japan, Korea, Macau, Malaysia, Netherlands, New Zealand, the Philippines, Spain, Taiwan, Thailand and the United Kingdom. The “Snakehead Gang” is one vibrant western hemisphere Triad. Members are new-age disciples, highly skilled in human trafficking. Such operators are not as structurally organized as past patriotic counterparts, with more simplified rituals. Regionally operational Triads are the Four Seasons, Sung Lian, United Bamboo and Tian Dao Man. “Portrait of a Triad” is the criminal organization’s Holy Grail. Part of the code reads; “We must not divulge our plans and affairs to outsiders. This is for our own safety.” Triad leaders are semi-legitimate businessmen with diverse foreign investments. They are active in overseas counterparts’ drug trafficking, human smuggling, fraud and money laundering schemes. Today’s info-tech business world with offshore shell companies, layering and other illusionary deceptions, make it difficult for CARICOM’s national intelligence officials to separate genuine Chinese government investments from Triad financed money laundering projects. China registered private company Bosai Minerals Group Co Ltd purchased Omai Bauxite Mining from the government of Guyana for US$100 million. Bosai Group is a large-scale manufacturing enterprise, with total assets worth more than US$1.51 billion and annual sales revenue of US$ 3.01 billion. Hutchison Whamposa Ltd a Hong Kong registered private company invested US$1 billion in a Grand Bahama luxury resort, plus real estate projects in the Bahamas archipelago. In 2014 the Chinese business recorded revenue of US$54.4 billion. On June 3, 2015 Hutchison Whamposa Ltd wound-up its business operation. Shanghai Construction Group (SCG) financed the building of Trinidad’s National Academy of Performing Arts (NAPA) in Port of Spain, along with the Prime Minister’s residence and diplomatic centre. Cash outlay was more than US$2 billion. The Urban Development Corporation of T&T (UDeCOTT), an agency of the Ministry of Housing & Urban Development, gave SCG the NAPA Project without tender. Documentation additionally reflected a US$5 million sale of government land in Westmoorings, directly to the Chinese company’s Chief Executive Officer. An official notice from Trinidad’s Commissioner of State Lands approved transfer of “residual rights,” plus secured the ninety-nine year lease for seven hundred and forty-three square meters of real estate at 22 Windsurf Road East, Westmoorings Trinidad. The Chinese CEO’s residence, listed as “05 Keate Street Port of Spain,” is the same as his local SCG International office address. 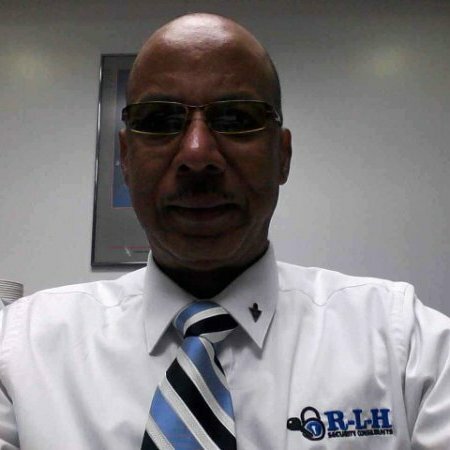 Privately owned Times Construction Company Ltd, a shadowy subsidiary of SCG, was exposed during the Port of Spain’s Legal Affairs building controversy. UDeCOTT awarded the US$368 million St Vincent Street, Ministry of Legal Affairs Tower contract to Sunway Construction (Caribbean) Limited, operated by a former UDeCOTT Executive-Chairman’s family. Sunway Construction (Caribbean) Ltd performed several lucrative SCG construction jobs assigned by UDeCOTT, such as the Piarco International Airport South Terminal upgrade and modernization of Trinidad & Tobago Police Force’s (TTPF) stations. Ricardo Swire is the Principal Consultant at R-L-H Security Consultants & Business Support Services and writes on a number of important issues.